Oil and gas exploration and production business, INEOS has been granted planning approval for a drilling rig to test for shale gas in Rotherham following a public inquiry. INEOS appealed to the Planning Inspectorate over the non-determination of the application at a Greenbelt site between the villages of Harthill and Thorpe Salvin. During the course of the recent public inquiry, Rotherham Council has been satisfied by the proposed mitigation from the applicants having previously offered reasons for refusal on transport and ecology grounds. Planning inspector, Stephen Roscoe, has now issued his decision report concluding that INEOS' appeal should be allowed and planning permission be granted. 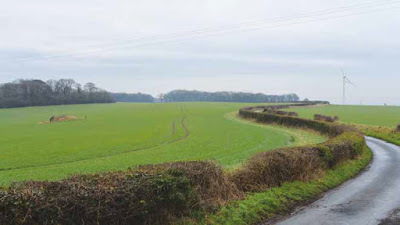 The Council's objections focused on the use of "country lanes which are considered to be unsuitable to cater for the significant increase in commercial vehicular traffic" and it also considered that the supporting ecological information was deficient. The Council initially objected to the late submission of an updated transport mitigation plan from INEOS but the authority's transport planner stated that it provided mitigation to his earlier concerns and reasons for refusal. The Council's planning board did not agree. The updated report was allowed by the inspector but he added that the appellant (INEOS) "chose a poor mechanism by which to put forward the Enhanced Traffic Management Plan" as it was a 140 page technical report where around only nine pages contained updated information. The inspector's report also confirmed that the Council withdrew its objection to the proposal on ecological grounds during the inquiry. However, local and national campaign groups were also able to present their objections at the inquiry. The decision was made on the whether the proposal would represent inappropriate development in the Green Belt and the effect of the proposal on the existing uses of the highways in the surrounding area. On the Green Belt issue, the planning inspector was satisfied as mineral extraction is not considered inappropriate development under national planning guidelines and because of the temporary nature of the development. On highways, the decision discusses a number of sub issues, such as HGV movements and the mitigation proposed such as passing places and the use of banksmen. Planning inspector, Stephen Roscoe, said: "I do not consider that the proposal would be likely to have an unacceptable adverse effect on the use of these lanes by other vehicles." Roscoe adds: "I consider that there would be some inconveniences to pedestrian users together with some loss of amenity. This would not however be unacceptable in terms of highway safety and amenity." The proposals involve building a drilling rig and drilling vertically, deep into the ground to find out how much gas is in the shale. This does not involve fracking but the inquiry discussed matters relating to the controversial process. Other issues such as the landscape and biodiversity were also addressed. Planning inspector, Stephen Roscoe, concluded: "I have found that the development could have a negative, but not significant, impact on features of biodiversity value for the period of the development. "I have also found that the development would detract from, and be harmful to, the landscape and visual character of the surrounding area. These matters would not however outweigh the benefits from the investigation proposed in terms of future energy supplies, to which I give great weight." On ecology, the decision concludes: "The development would not be likely to, directly or indirectly, result in the loss or deterioration of sites, habitat or features that are considered to be irreplaceable due to their age, status, connectivity, rarity or continued presence." The permission is set to come with a number of conditions, including a detailed traffic management plan, a noise management plan, a dust management plan, the creation of a community liaison group, limiting the hours of work, etc. For example, HGVs accessing the site would need to have left the surrounding highways by 19.00 on weekdays and 13.00 on Saturdays. Kevin Barron MP, whose Rother Valley constituency covers the Harthill area, said that he was "very disappointed" and added that he would continue to fight the decision as he still believe their are "too many unanswered questions around fracking in areas of old mine workings." Chris Read, leader of Rotherham Council, added: "It is disappointing that Government inspectors have granted planning permission for exploratory drilling in Harthill, going against the view our democratically elected planning board had taken. "INEOS' insulting decision to by-pass the Council's planning process and take its application direct to central government should be of concern to everyone involved. Planning inspectors also allowed them to submit late evidence ahead of a public inquiry into this matter, which was doubly frustrating to me. "Residents in the area must be wondering what chance they had when this is how the system works."